The recent trade between the Mets and the Brewers involving K-Rod came as a slight surprise. Many expected the Mets to be looking for a trading partner for K-Rod, but I doubt many felt it would have been the Brewers. Regardless, the deal is done and the Mets can finally exhale knowing that they are not responsible for Krods $17.5 mil option in 2012. In return, the Mets will receive 2 PTBNL and the Brewers will also receive cash as well. 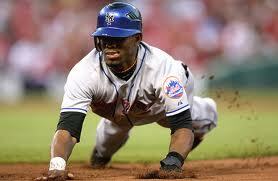 This move should pave the way for the Mets to aggressively pursue Reyes once he becomes a free agent this summer. With Krod’s $17.5 now off the payroll for 2012, along with Perez ($12 mil), Castillo ($6 mil) and most likely Beltran ($18.5 mil). The Mets are clearing $54 mil alone with those four players. Alderson has been stated that he intends to sign Reyes to a long-term deal (years and dollar amount was not disclosed). 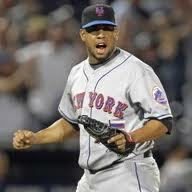 The trading of K-Rod was a huge step for the Mets franchise, regardless of who the 2 PTBNL are. Just having more leverage to pursue and hopefully sign Jose Reyes to a long-term deal and to keep him in a Mets uniform into his prime years is monumental. Getting back to the K-Rod deal, below is a list (by John Sickels of SB Nation) of the Brewers top 20 prospects currently in their system, along with honorable mention players. I don’t expect to see the Mets acquire any prospect in the Brewers top 10 list, but I expect the deal to be similar to the one the Mets did with Boston, in the Wagner trade. 1) Mark Rogers, RHP, Grade B-: Borderline B. Love the stuff, but command concerns keep me cautious with the grade. 2) Cody Scarpetta, RHP, Grade B-: Borderline B. Personal favorite for a couple of years, like Rogers I worry about his command but like his stuff. 3) Kentrail Davis, OF, Grade B-: Good tools, hits for average, I think he’ll get on base. But what about power? 4) Amaury Rivas, RHP, Grade B-: Solid across the board, looks like a fourth starter to me. 5) Kyle Heckathorn, RHP, Grade B-: Huge ground ball specialist, another future fourth starter? 6) Wily Peralta, RHP, Grade B-: Another arm with solid stuff, though I don’t like the dropping strikeout rate and deterioration in K/BB in Double-A. 7) Scooter Gennett, 2B, Grade B-: A very good hitter, needs to polish defense but could make a lot of noise in ’11. Keep close track of him. 8) Jimmy Nelson, RHP, Grade C+: Starter or reliever? Fits into Brewers profile as a fourth starter type with decent but not exceptional stuff. 9) Caleb Gindl, OF, Grade C+: I think he’s better than he looked in Double-A, but still more of a future role player than heavy duty regular. 10) Eric Komatsu, OF, Grade C+: Like Gindl, can be a good role player but unless he turns the power up he will be stretched to start. 11) Tyler Thornburg, RHP, Grade C+: Very good stuff, could move quickly if used in bullpen. 12) Hunter Morris, 1B, Grade C: Plenty of power potential, but something makes me wonder if he’ll fully live up to expectations. I might be underrating him. 13) D’Vontrey Richardson, OF, Grade C: Outstanding tools, extremely raw. Can he refine them? 14) Tyler Roberts, C, Grade C: Strong power potential, needs a lot of defensive polish. 15) Eric Farris, 2B, Grade C: Forgotten man after injury season, but he can steal bases and has a good glove. 16) Khris Davis, OF, Grade C: Good power production in the Midwest League, but a bit old for the level. Grade will rise if he hits in Double-A. . .might be able to pull a Jerry Sands. 17) Logan Schafer, OF, Grade C: Should be a good fourth outfielder if he gets healthy. 18) Dan Merklinger, LHP, Grade C: Doesn’t have blazing stuff, but good stats, protected on 40-man roster. Maybe a fifth starter. 19) Mike Fiers, RHP, Grade C: Older prospect at 25, fastball is average, but really knows how to pitch. 20) Robert Hinton, RHP, Grade C: Good fastball/slider combo could help in pen this year. OTHERS OF NOTE: Eric Arnett, RHP; Nick Bucci, RHP; Chris Dennis, 1B-OF; Cutter Dykstra, 3B; Pat Egan, RHP; Taylor Green, 3B; Cody Hawn, 1B; Brandon Kintzler, RHP; Maverick Lasker, RHP; Matt Miller, RHP; Joel Pierce, RHP; Austin Ross, RHP; Jesus Sanchez, RHP; Zelous Wheeler, SS.